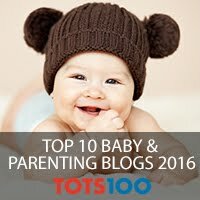 When we were expecting boy number three I was warned that my cupboards would empty as quickly as I could fill them and now that Finn is well into weaning I can confirm they weren't wrong. Not only do I have three little boys, I have three very hungry little boys. Thankfully they eat most things and all three adore fruit which makes snack time easier. I do seem to have a full fruit bowl at the beginning of the week and an empty one by Wednesday but this was something I was semi-prepared for. 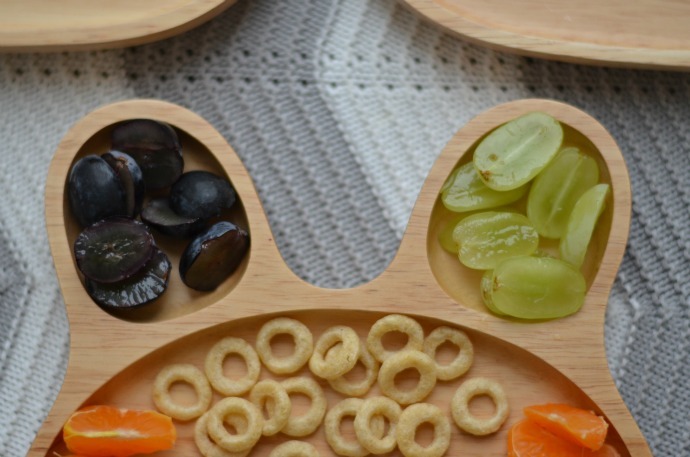 We were sent some gorgeous plates from Sammy at Blue Brontide and they are perfect for dishing out snacktime. The plates are solid wood, lovingly carved and each a little different. The three sections make them perfect for lunches or snacks although I couldn't bring myself to cover up the cute faces today! Dylan had no problem when he added a pair and a banana to his plate though. 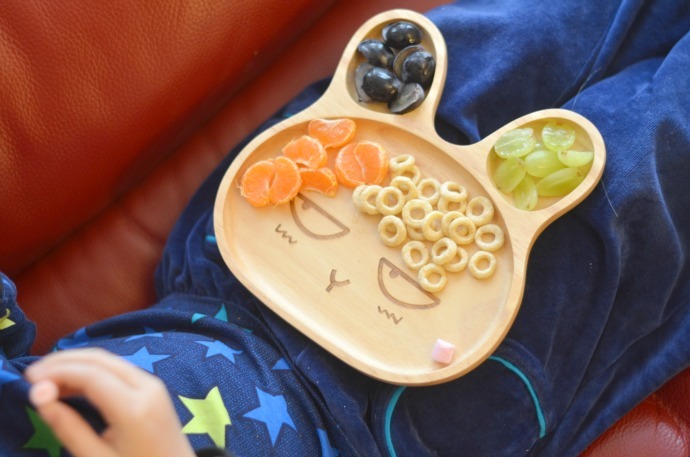 Blue Brontide sells a selection of gorgeous wooden kids plates including car and bunny shapes and everything is organic, sustainable and eco-friendly. 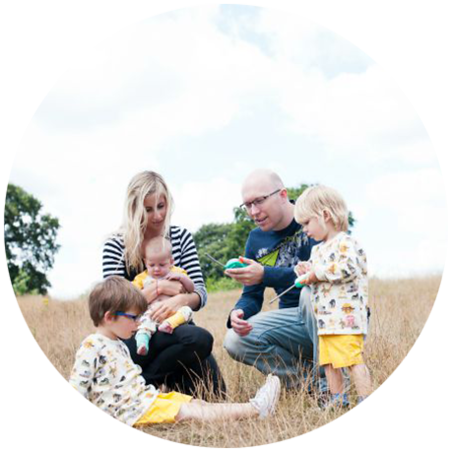 Their range also includes tableware, teething necklaces and dummy clips, all beautifully handmade in Yorkshire. 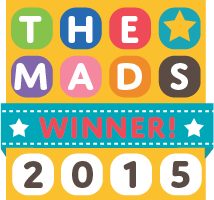 Buying from them means supporting local manufacturers, choosing quality and filling your house with rather cute stuff! As these plates are made from wood, they do need to be wiped down after use rather than soaked in water or placed in a dishwasher and it is best to avoid highly acidic foods. They are perfect for picnic lunches and snacks. Thank you to Blue Brontide for sending us these beautiful plates, the boys adore them and their lunches are going to look a lot more exciting from now on! 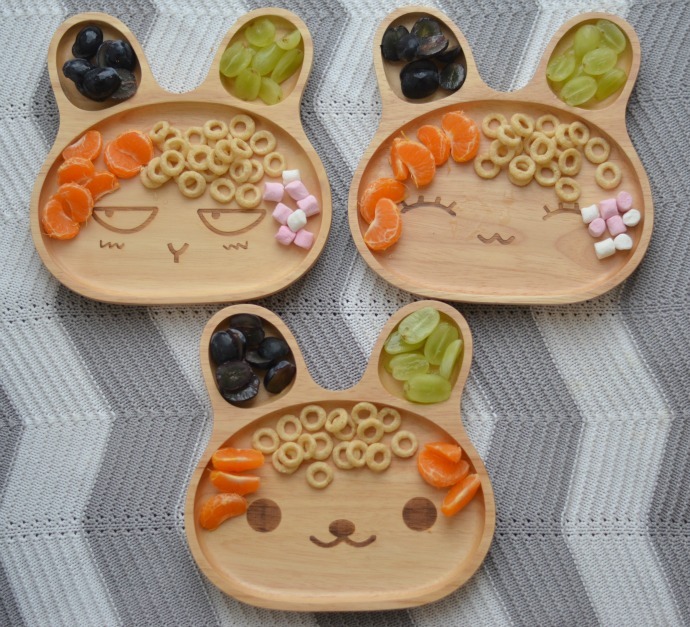 These are the most adorable plates I have ever seen! 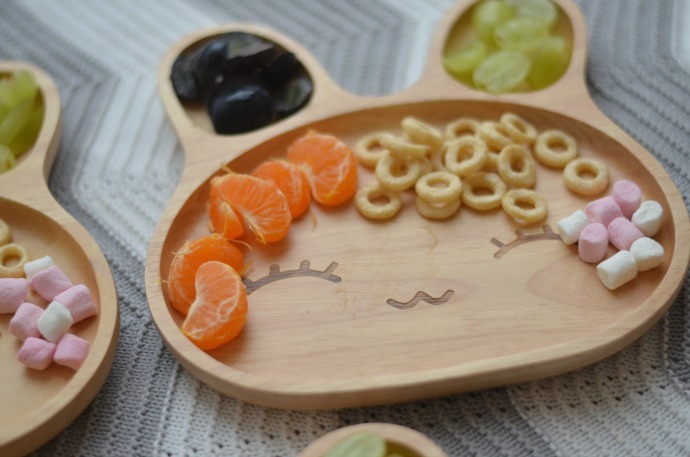 So cute and perfect for kids snacks - my 2 would love them!